Whatever the occasion, we’ll keep you warm in style with winter pieces that look good and feel great. Off to the office, a dinner party, weekend away? Wherever you’re headed, do it in style with sharp suits, classic jackets and casual basics to suit the occasion. 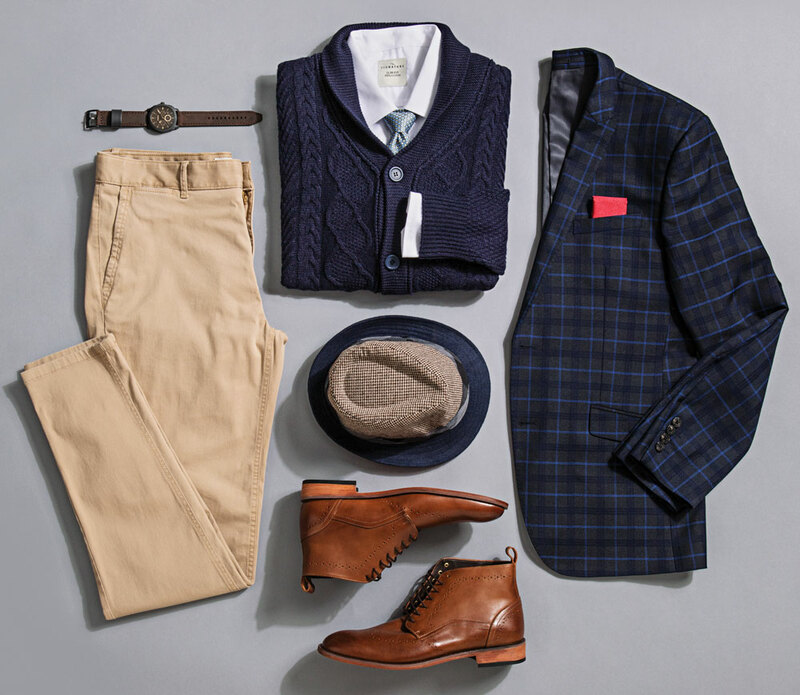 The key to looking dapper while staying warm is layering complementary pieces that fit your body like a second skin. Work your way from thin pieces on the inside to thicker ones on the outside, keeping the lightest fabrics closer to your body. Remember, you may need to remove some layers during the day, so whatever is worn underneath must look fresh and presentable. 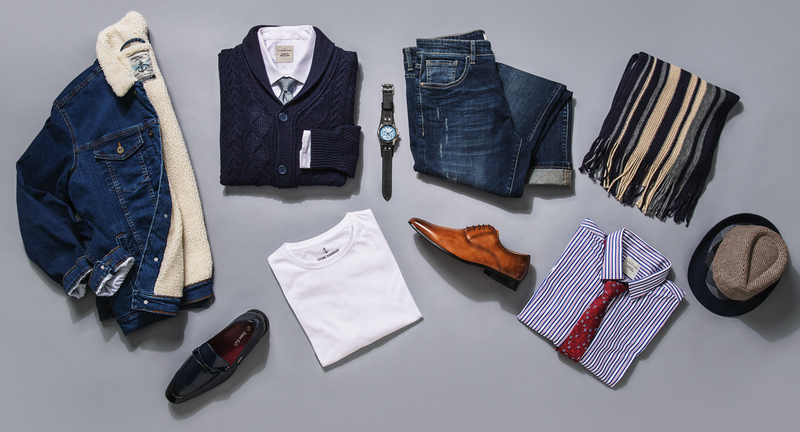 Keep it simple with a classic shirt underneath a cardigan, followed by a blazer. Replace the blazer with a peacoat when winter is in full force for maximum protection from the elements. Incorporating an accessory is the easiest way to add visual interest to an outfit. With a formal suit, opt for a simple wool scarf for a fashionably masculine look that will keep your neck warm, no matter how cool the temps. 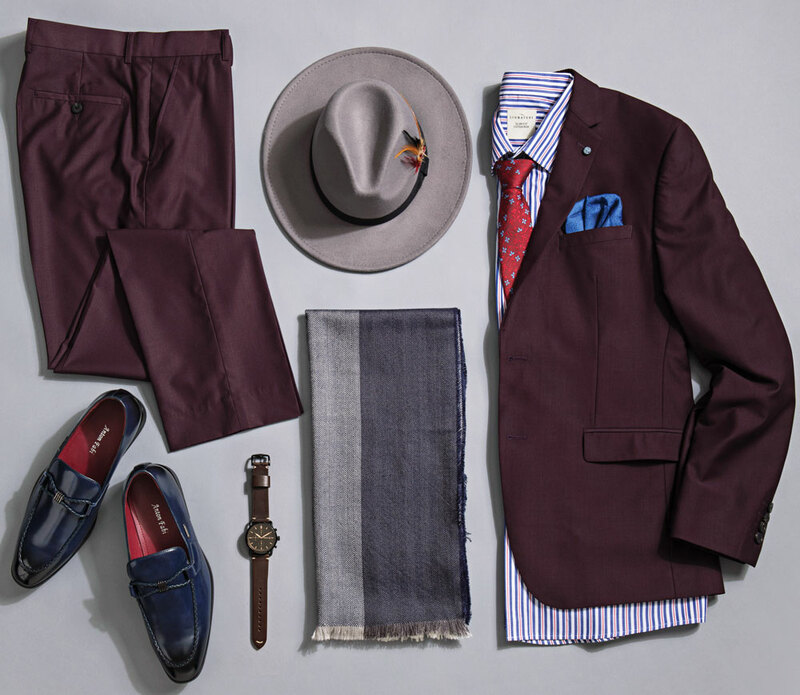 Add some personality with bold coloured shoes and pocket squares – don't be afraid to mix things up and make your look your own. There are no dress-code restrictions to hold you back over the weekend; it’s all about your personal preference. 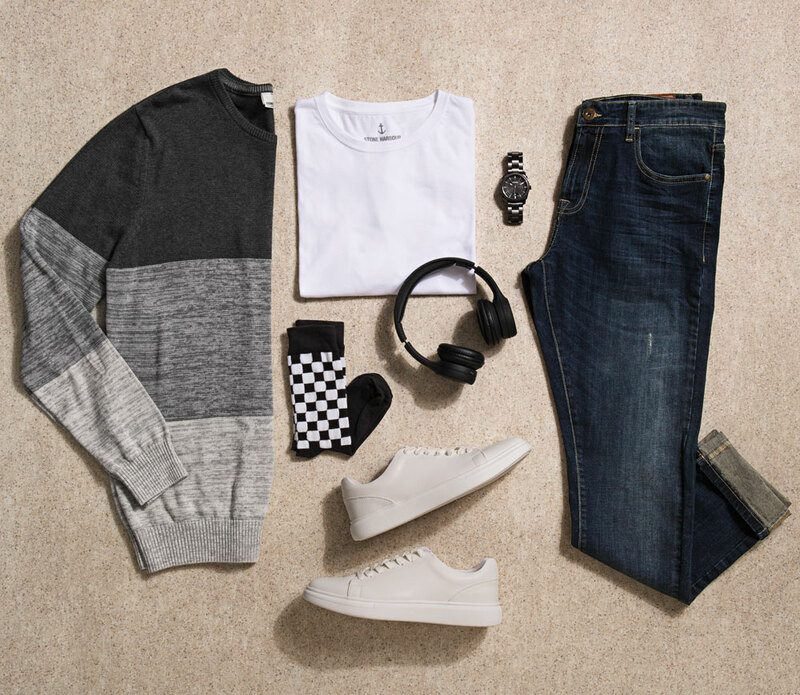 A T-shirt, jersey and jeans combo is easy to wear and stylish in an understated way – an ideal off-duty look. Invest in knits of all shapes and colours to keep the cold out and the heat in. 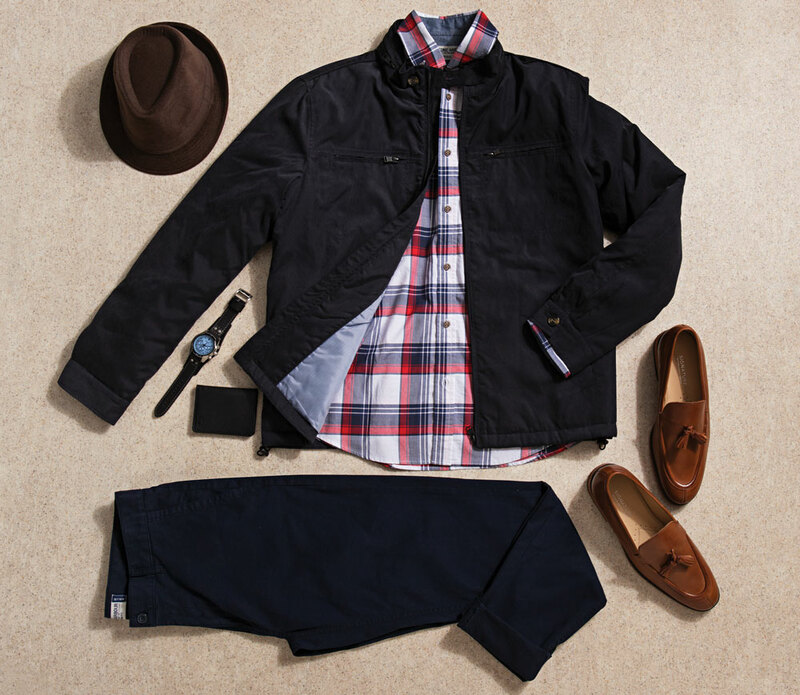 Choosing the right jacket is essential to pulling your whole look together. Select a style that looks good, fits well, and won’t easily date. The denim jacket is a classic wardrobe staple, and this season it gets a cosy update with fleece lining that’s guaranteed to keep the chill out. Wear with turn-up denims that show off your eye-catching socks, and complete the look with casual shoes or sneakers for laid-back cool. A '90s-inspired windbreaker is your best bet for looking good and staying warm on those super chilly days. The jacket is lightweight and can be used as a layering piece that's perfect for rain or shine. 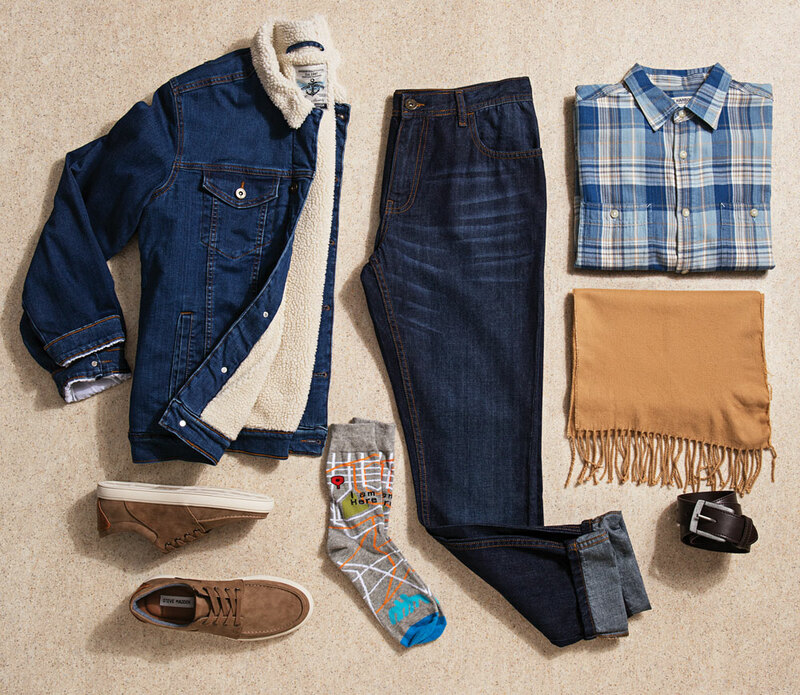 It’s one of the easiest jackets to style up or down – pair with jeans and sneakers for a relaxed look, or chinos and loafers for smarter occasions. Fashion direction & production: Brittany Penebre. Photography: Andrè Wepener/Pixel Lounge. Styling: Rushana Burton. nice...definitely the look i m going for this winter.